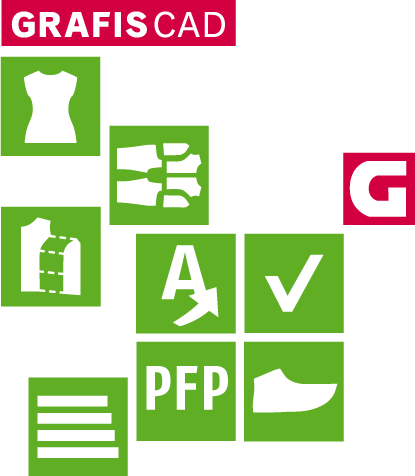 All printers and plotter with Windows drivers can be used with GRAFIS Version 6 and above. Notes on installation and setup for these devices can be obtained from the printer/plotter manuals. Are Windows drivers available for the plotter/printer? If yes, it should be installed as a Windows printer. Is the plotter HPGL compatible (can it process HPGL language)? If yes, the plotter can be controlled as an HPGL plotter. Is the plotter compatible with any of the devices listed above? If yes, it can possibly be controlled with the relevant driver file. If the answer to all questions is NO, a new plotter driver is required for the device. This can only be generated by experienced specialists. Basis for generation of the plotter driver file is a plotter handbook which can be obtained directly from the dealer or manufacturer in most cases. The ProfileFitPatternPhoto program makes the digitizing tablet unnecessary. To work with a digitizer GRAFIS needs a Wintab driver (or a wintab compatible driver). Most suppliers of digitizers are offering drivers for current Windows versions. But especially with older devices it must be checked out, if there are drivers for current windows versions and if they are really working. We have taken the appearance of new Windows version 10 as an opportunity to test the compatibility of digitizers under GRAFIS. For users with a digitizer from GTCO CalComp or Summagraphics there are good news. With the current version of the driver package "TabletWorks" (download page), Windows 7, 8.1 and 10 can be used in both variants (32-bit and 64-bit; Windows 10 tested with 64bit only). Only the USB-to-serial adapter have proved problematic in our test. We had some problems to make it work especially with 64-bit Windows. Here, you should rely on a device of a brand manufacturer with good support to avoid later problems in supplying drivers. With all other manufacturers it depends on the quality of the tablet driver. The drivers must be tested with the required version of Windows. As a tool, we offer for the program "TABTEST.EXE" which can be found on each GRAFIS CD-ROM in the folder \GRAFIS\HILFEN. With this program, it can be determined whether GRAFIS successfully can recognize the digitizer or not, without having to process a complete GRAFIS installation before. Poor news, on the other hand, is available to all users who need to use the universal "Virtual Tablet Interface" driver. This driver package was a good alternative for users of older digitizers. Unfortunately the company does not exist anymore and the development has been discontinued.